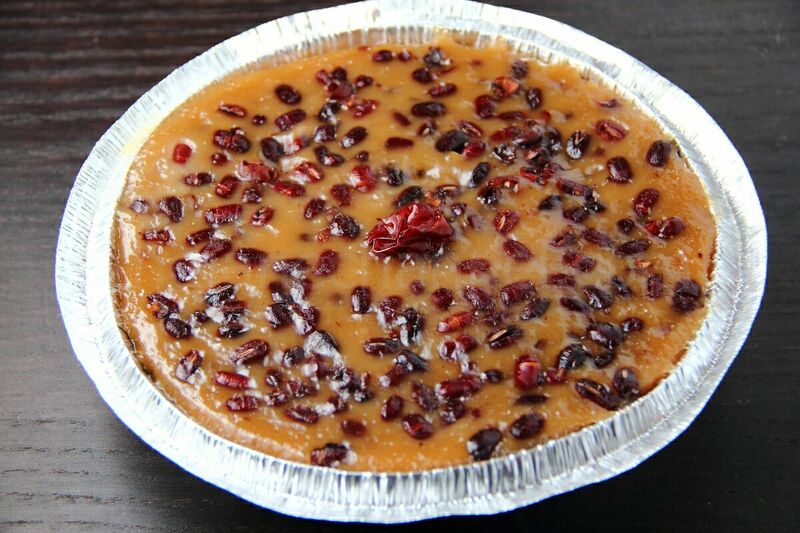 年糕, or “nian gao”, is a type of food made with glutinous rice. 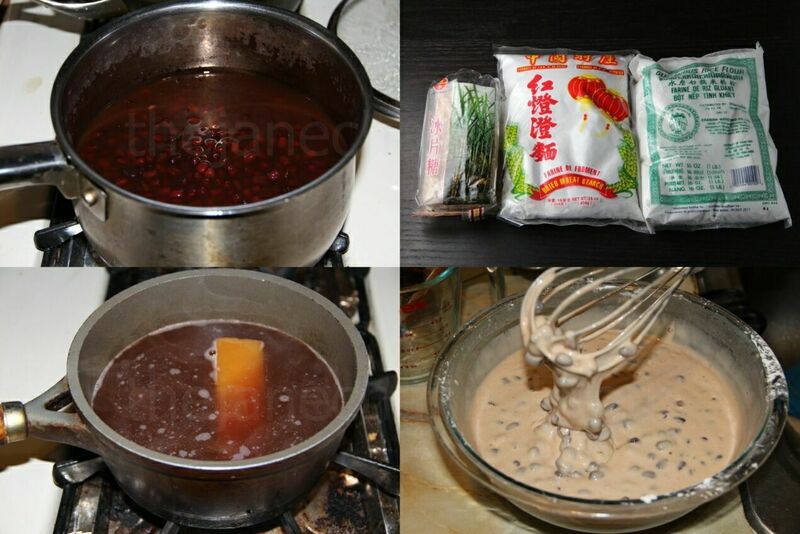 It is commonly prepared and eaten during Chinese New Year. There are 2 main types of nian gao, the Shanghainese style, which is prepared as a savory dish, and the Cantonese style, which is typically a sweet food that is pan fried for a crispy exterior and sticky interior. The preparation for the Cantonese style is presented here. Some people like to just have it plain, but personally I like it with a filling. The cake it self is only lightly sweetened so that the sweetness is not overwhelming. With the sweeter red bean filling, the level of sweetness is just right. After the nian gao is prepared and put into the fridge, the pan frying process is also very important when you’re ready to eat it. The key is the slice it in thin slices, about 0.5 centimeter thick, dip it in some whipped eggs, and pan fry under a small amount of oil under low heat. The key is to heat it all the way through so that you have soft interior and crispy, but not burnt, exterior. Soak red beans overnight in a pot of water. Bring it to boil and simmer for an hour. Turn off the heat and cover for 2 hours. Repeat the process for two times until the beans are soft. At the last simmer, add about 1 cup of brown sugar or 2 pieces of sugar canes. Drain and reserve the liquid. Melt 3 sugar canes with the liquid from red bean (about 2 cups). Remove from heat and let the ”sugar water” cool down. Place the rice flour and dried wheat starch in a large bowl. Slowly stir in the “sugar water”. Add more water if the mixture is too thick, but only add enough water that allows you to stir. Slowly stir in red beans, be careful not to break them apart. Lightly grease the pan with oil and pour the mixture in there. Steam for 1.5 hour (for a 9″ Round Cake Pan) or until the edges of the cake pull away from the pan. *This recipe makes two 9” round cake pans of red bean cake. Remove the cake from the heat and cool. Then cut them into square slices. Heat oil in a skillet over high heat. Dip the slices in egg wash and pan fry each side over low heat for 2-3 minutes or until the slices is soft inside.